Undoubtedly the largest establishment of its kind in the county is that of Dwyer Bros. on South Main street, dealers in hardware, furniture and farm implements. The present members of the firm are M. E. and T. J. Dwyer. They began business in 1888, in a room 20x60. 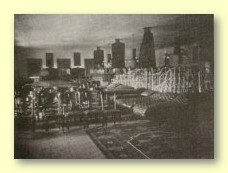 By courteous treatment and close attention to business their patronage grew to such an extent that additional room had to be added until at present they occupy store and wareroom space of more than 20,000 square feet, or nearly 1-2 acre of floor space to display their immense stock of merchandise. They show the largest and finest line of furniture, carpets, rugs, mattings and queensware in this city and their prices are sure to be right. 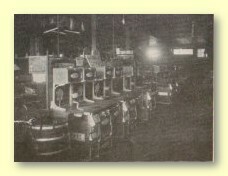 A large ware house two stories high, with a frontage of 80 feet is required to carry their immense stock of farm implements, including buggies, harness, wagons, threshers and engines, bay presses and the American field fence, so popular with all their customers that they all bear testimony to its quality. Their hardware stock is complete, including everything in the line besides, oils, paint, glass, stoves, ranges, tin ware. Special attention given to slate and tin roofing by a competent workman. Such a store is a credit to London and Madison county and its popularity grows year by year.